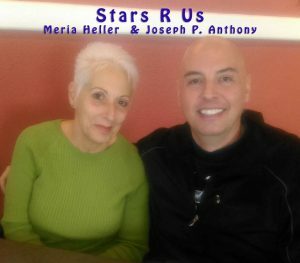 10/5/18 Stars R Us, with Meria & Joseph Anthony. Astrology for October. feeling exhausted? Jupiter squaring Aquarius; frequency changes; Earths wobble; solar dimming; Jupiter/Pluto/Saturn & the Sun; Venus goes retrograde today; Libra doesn’t like conflict; extreme behavior; revisiting the past; enjoy the beauty of life – nature; finding balance; New Moon in Libra; Sun in Scorpio; unconditional love; John Lennon & Gandhi were Libras; Mercury in Scorpio; Sun in Scorpio; water signs tend to hold onto the past; Ocean events; Full Moon in Taurus; Mercury in Sag; the movie “K-Pax”.